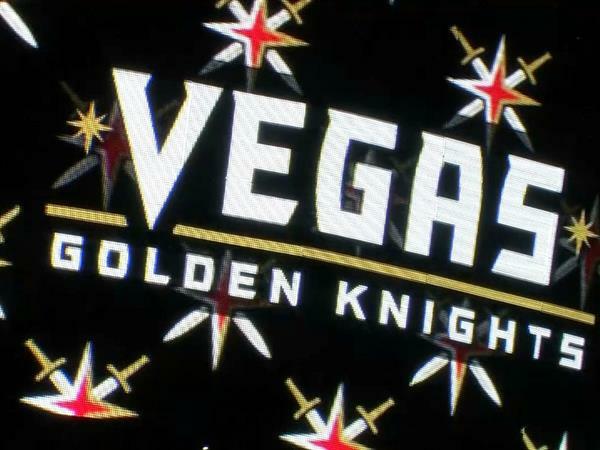 The NHL’s newest expansion team, the Vegas Golden Knights, brought in a fury of action to Las Vegas with the start of the 2017-2018 hockey season. Their first home game of the season against the Arizona Coyotes took place Oct. 10 at T-Mobile Arena. Insomniac announced that Electric Daisy Carnival (EDC) Las Vegas, North America’s largest dance music festival, will move from Father’s Day weekend in June to May in 2018 and introduce an array of new experiential elements. Returning to Las Vegas Motor Speedway for its 22nd edition, the three-day dusk till dawn gathering will now take place on Friday, May 18, through Sunday, May 20. Tickets for the globally renowned festival are on sale now, offering fans the option to camp for the first time, enjoy extended festival hours with early-entry opening ceremonies, access multiple ticketing tiers and affordable layaway plans, and discover brand new experiences that will make their EDC Las Vegas journey the most memorable yet. For more information, contact Lea Komitzky, Kirvin Doak Communications, insomniaclv@kirvindoak.com. IMEX America, the largest trade show in the U.S. for incentive travel, meetings and the events industry, is back in Las Vegas for its seventh consecutive year. This year’s event, October 10-12 at Sands Expo and Convention Center, is poised to bring an estimated 12,000 attendees from more than 130 countries. Monster Energy Cup, the sport’s largest all-star exhibition Supercross race with 40,000 plus expected fans, will be held on Oct. 14 at Sam Boyd Stadium in Las Vegas for the seventh straight year. While fans from around the world come to Las Vegas to play their hand in a game of luck, the sport’s most premier racers will compete for the chance to win $1 million in front of a capacity crowd. Unlike any other Supercross race, the unique format at Monster Energy Cup challenges riders with three, 10-Lap Main Events, and any racer who wins all three Main Events takes home $1 million, the largest purse in motorcycle racing. All the best NHRA racers will be live Oct. 26-29 when the NHRA Mello Yello Drag Racing Series returns to The Strip at the Las Vegas Motor Speedway. This highly anticipated event could determine NHRA world championships in Top Fuel, Funny Car, Pro Stock and Pro Stock Motorcycle. This is the fifth race of the Countdown to the Championship, NHRA’s six-race playoffs. Black Tap Craft Burgers & Beer will open its newest location this winter at The Venetian Las Vegas, bringing award-winning burgers and viral milkshakes to the Las Vegas Strip. The opening marks Black Tap’s first expansion in the U.S. beyond its four New York locations. Since opening in New York’s SoHo neighborhood in 2015, Black Tap has received worldwide acclaim for its burgers and signature CrazyShakes™. The restaurant is helmed by Michelin-starred chef Joe Isidori and lauded restaurateur and nightclub developer Chris Barish. Black Tap Las Vegas will be located adjacent to The Venetian Poker Room, and will feature patio dining that overlooks the resort’s scenic outdoor canals. The burger and beer joint will offer a casual vibe reminiscent of a classic American luncheonette with a distinctly New York feel. For more information, contact Keith Salwoski, Sands Corporation, keith.salwoski@sands.com. Sundance Helicopters,Inc., the most experienced and highest-rated experiential tourism company in Las Vegas, has partnered with Las Vegas Outdoor Adventure for “Sundance Heli & Outdoor Adventures,” tours geared towards adventure seekers. The trip includes pickup from various Strip and Downtown hotels, photo-op at Hoover Dam, and an adventure upgrade to ATV tours of the Colorado River and/or shooting activities. Guests will then board a state-of-the-art helicopter to experience majestic, sweeping views of Lake Mead, the Mojave Desert and the Grand Canyon. For more information, contact Arlene Bordinhão, Sundance Helicopters, arleneb@sundancehelicopters.com. Las Vegas’ original hotel, Golden Gate Hotel & Casino, has completed a major expansion project, marking a new chapter in the 111-year-old Downtown Las Vegas property’s elaborate history. Featuring a modern yet timeless design from Dez Motif and architecture by MOSER Architecture Studio, the renovation includes a casino floor nearly doubled in size, a majestic grand entrance, an extension of its outdoor bar, OneBar at One Fremont Street and more. Spanning 5,000 square feet, the updated casino space has introduced 91 new slots to the gaming floor. The centerpiece is an eye-catching 360-degree, 24-foot tower of televisions, artfully displayed as though the TVs are emerging from a fountain. Mixing the nostalgia of vintage Vegas glitz with Art Deco style, Golden Gate has introduced a redesigned façade, including a glamorous 500-pound golden velvet drapes to create an unforgettable casino entrance. Inspired by the Jazz Age, the drapery is adorned with exquisite gold medallions, serving as a grand arrival to the casino’s marble-floored rotunda. For more information, contact Kara Rutkin, Kirvin Doak Communications, krutkin@kirvindoak.com. Just in time for football season, Rampart Casino has unveiled its newest property renovation project – Rampart Casino Race & Sports Book. The newly constructed space, which replaced JC’s Irish Pub, spans nearly 6,000 square feet just off the main casino floor, and boasts 138 seats, including 57 private carrels for race bettors. The Race & Sports Book is also home to a new Race & Sports Bar – a 50 person-capacity bar and lounge featuring 10 bar-top gaming machines and plenty of televisions surrounding the bar for fans to keep up with all the action. For more information, contact Alissa Kelly, PR Plus LV, alissa@prpluslv.com. This fall will mark the debut of an iconic eatery and two tempting new shopping options at The LINQ Promenade—Caesars Entertainment’s open-air dining, entertainment and retail district located at the center of the Las Vegas Strip. The new outlets include, Canter’s Deli, Kappa Toys and Nectar Bath Treats. The much-anticipated Los Angeles import, Canter’s Deli, will open its first Las Vegas Strip location. The restaurant is renowned for its authentic deli-style experience and its proud history of celebrity clientele. This is Kappa Toys’ second location in Las Vegas. Known for its vintage toys, the family-owned store carries an array of unique playthings in a bright, bustling atmosphere. Items range from nostalgic favorites such as the classic Slinky to interactive 3-D art kits. As the brand’s sixth location, Nectar Bath Treats’ charming bakery-style shop uses natural ingredients to hand-make bath and body treats that look good enough to eat. For more information, contact Nikki Neu, Vox Solid Communications, nneu@wearevoxsolid.com. Las Vegas’ first mermaid school, Aquamermaid, will be opening Oct. 13. The swimming school will teach kids and adults how to swim with a mermaid tail. Students make their dreams come true and get a great core workout. Aquamermaid is also a unique activity for bachelorette parties. For more information, contact Marielle Chartier Henault, Aquamermaid, marielle@aquasirene.com.